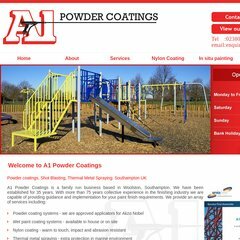 Topics: Services, Nylon Coating, In Situ Painting, and Website Design By Toolkit Websites. Toolkit Websites Ltd England is the location of the Microsoft-IIS/6 server. The programming language environment is ASP.NET. ns.rackspace.com, and ns2.rackspace.com are its DNS Nameservers. PING (83.138.160.18) 56(84) bytes of data. A time of 97.6 ms, is recorded in a ping test.